A new take on an old favourite. Starting out very traditionally, the instruments enter one by one. Each new section gradually swings more and more. By the end, it is definitely jazzy and very bluesy. The top note for Trumpet 1 is an E (D concert), and trombone 1 is an F above the bass clef. 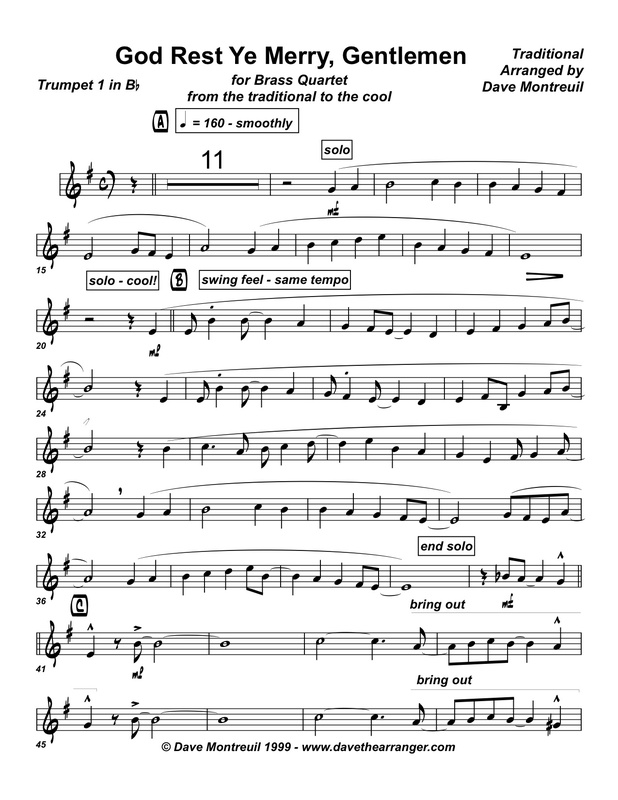 No F attachment is needed for trombone 2, although there is a short Bass Bone solo that sounds good down the octave. Drums are optional, but could make the piece really swing! This Christmas arrangement is an audience favourite, and is sure to get your toes tapping! Right click here to download the sound recording to God Rest Ye Merry, Gentlemen.